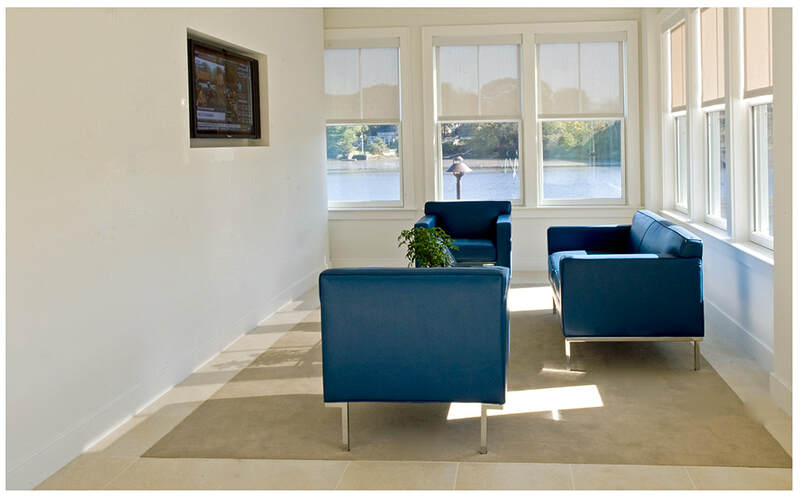 Philip H. Cerrone, Architect is a full service architectural firm that was founded in Fairfield, Connecticut in 1986. We have extensive experience in municipal, residential and commercial design including country clubs, firehouses, retail establishments, funeral homes, schools and more. As part of our continuing commitment to serving a wide customer base, we offer general architectural services, feasibility studies, project management, space planning, sustainable design concepts and post occupancy assistance. ​At Philip H. Cerrone, Architect we believe that the design of any building, especially a residence, is about more than the structure. Ultimately it is about bringing dreams to life and creating a house that is a home. To make our client’s dreams real, we blend quality design with an attention to detail and energy efficient strategies that ensure successful projects and satisfied customers. Each and every client receives one-on-one attention from the initial meeting throughout the design process. A key part of the process involves good communications and the give and take of ideas. ​Philip H. Cerrone, is an experienced architect with over 28 years of experience in planning, design, construction, inspection and administration of commercial, industrial, educational, recreational, single family and multi-family residential projects. He believes that architecture is more than just designing a structure. He believes that successful architecture means creating aesthetically pleasing environments that meet the needs of the people who work or live there. This approach has led to many successful and long lasting client relationships. A graduate of the New York Institute of Technology with a Bachelor of Architecture Degree, Mr. Cerrone is a licensed architect in Connecticut, New York, Massachusetts and New Jersey. He is also a LEED (Leadership in Energy and Environmental Design) accredited professional, committed to helping clients create responsible and educated design decision regarding systems and materials and how they will impact the environment. ​ He has also served on a number of Boards and Councils that oversee architectural licensing and continuing education. He was appointed by Governor Lowell Weicker to the State of Connecticut Architectural Licensing Board. He served on the Board from 1991 to 1996. From 1993 to 1996, Mr. Cerrone served as a member of the National Council of Architectural Registration Boards (NCARB) Continuing Professional Development Committee. He also served as a member of the Model Law Task Force which was responsible for drafting a model law for states to use in the implementation of continuing education for Architects throughout the country. From 1995 to 2002 he served as Secretary/Treasurer for the New England Conference of Architectural Registration Boards. He was a grader on the NCARB Architect Licensing Examination for two years and was the Chair of the New England Region of Architectural Licensing Boards from 2002 until the summer of 2005. As a way to give back to the community he has provided architectural and project management services for several non-profit organizations, including Operation Hope of Fairfield, the American Cancer Society, Pop Warner Football and the Fairfield Chamber of Commerce, on a Pro Bono basis. Planning, design, construction, inspection and administration of commercial, industrial, educational, recreational, single family and multi-family residential projects.